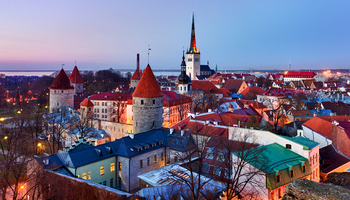 British Airways is cancelling its relatively new route to Tallinn in Estonia. This is a bit of a surprise as it seemed to be proving popular, as was the new Hilton Tallinn Park hotel which we reviewed here. The final flight will be 29th March. Rebooking is available via Stockholm or Copenhagen, connecting to SAS. airBaltic continues to fly from London Gatwick to Tallinn on Tuesdays and Saturdays. Finnair had also, before BA launched its service, run aggressive deals via Helsinki which earned Avios and British Airways Executive Club tier points. Until 27th November, Hyatt is offering a 40% bonus when you buy World of Hyatt points via this link. This is as big as World of Hyatt bonuses get. It is also the most generous, with the full 40% bonus kicking in with a purchase of just 5,000 points. At the top end, you are paying $1,320 for 77,000 points (55,000 plus a 22,000 bonus). That works out at 1.71c – or 1.33p – per point. The relatively new Park Hyatt resort in Mallorca is a location where buying points may make sense. Prices for cash are still a little scary – rooms from Euro 484 (£430) in August 2019, or Euro 523 (£465) if you want a cancellable one. A redemption at 20,000 points per night (£266) would be a great deal. £266 per night for a 50 sq m room in a brand new 5-star resort in Mallorca in August is an outstanding deal. The Park Hyatt is actually fairly cheap for cash at £465 per night because it is still new – the St Regis Mardavall is €800 (£700) per night for a cancellable room in the same week. Iberia has announced a number of frequency increases for next Summer which may make it easier to use your Avios to get to Latin America. It is also worth remembering that taxes on Iberia redemptions are very low – usually well under £200 for business class long-haul flights from Madrid. The new Iberia A350 business class seat which I reviewed here is good and being rolled out as the new planes arrive. Im looking to use my Lloyds Upgrade Voucher for a flight next year for myself to NYC. I had assumed that I would have to go LHR-JFK, but it would appear their are decent flights from my local airport for either LBA/MAN-LHR-JFK …. so does the Upgrade voucher also allow for connecting flights? As long as it’s all on BA metal, you can book connecting flights using the upgrade voucher, I have always done this. You will not be charged avios for the connecting flight but you will have to pay the RFS fees. You’ll have to call avios.com to do this, whether or not your account is still open. Explain where you want to start and finish and they will sort it all out for you. Yes, and your connecting flight should also be upgraded if it is done properly. Yes but remember you’ll be charged the upgraded RFS fee as well, so £50 on top of the “tax” on the long haul leg. But £50 for a MAN-LHR return in CE with luggage is a bargain anyway, and you’ll get lounge access as well. Another benefit is that you can check in online 24 hours before the connecting flight which often gives you a better choice of seats as the pax just flying from LHR can’t check in until 24 hours before that flight. The problem I had last year was that the agent insisted only longhaul sectors were upgraded. Disputed that as it was not my prior experience but I didn’t want to lose seats so I accepred. I checked the tax and fees and found we had been charged CE prices despite ET traveller cabin. Thus, I got back on the phone and agent put us in CE no fuss at all. We were INV-LHR but I agree it is worth the extra from any airport if one has no access to lounge, early seat selection etc. Interesting. I got HKG – LHR – MAN a few weeks ago for the same number points and pounds as HKG – LHR would have cost. Sounds like the £ should have been higher? HKG – LHR – MAN – how much then? OT – does anyone know how being retired affects credit card applications/churning? Obviously there will be some income but nothing to put in the employer details box! No impact whatsoever in my dads case. He is over 80 and has been retired for over 20 years. Churns amex with the best of them and he has never failed to get an instant apporoval on application. I shoold add that he has been with same bank and lived at the same address for over 40y so that probably helps. He only churns amex, his only other cards are BoS and Hilton which he’s had forever. My hubby retired early 2 yrs ago and his income halfed and I have no income. We still churn our Amex cards ok – I just received my upgraded Plat card today. His drawdown pension fund and our savings are not included in the application. I always get a very low credit limit and was told I could submit savings info if I wanted to request a bigger limit. So remind me, is there a retired option on the application drop down then? I don’t actually know, I haven’t checked yet! Just doing a bit of forward planning, I don’t want my earning and churning opportunities to disappear when I finally have the freedom to travel when I want to! I have only just seen your question Anna, so apologies for the delay. I too was once a teacher; my pension is based on full time Aug 1980 – Aug 1992 and half time from then until Dec 1999. I did not discover this site and its tips on churning Amex etc until a couple of years after retiring at the end of 2013. I already had a BA Amex, as well as Lloyds Avios and MBNA LH Amexs, but had no idea that churning was possible. I had long term Visas and M/Cards too. Around 30 months ago I took the plunge and asked Rob for a referral for a PRG Amex. Ironically, this is the only Amex issued Amex I got approved for immediately. But since then I have churned my BA Amex once, had two SPG Amexs and am now on my newish PRG credi Amex. I have also taken out, got the sign-up bonuses, and cancelled MBNA Virgin and Tesco cards. FWIW, my Experian Credit Score has always been very high. Like most here, I imagine, I have always paid off credit card bills in full, though back in the 1980s and early 1990s I often took out quite large cash advances on credit cards. I really do not think that you need to worry! OT: All is far from well with Xmas Saver IME. Returned two items, one electronic to CS and one F&F to clothing counter, at two different Tesco Extra stores today. Ladies at both were totally on the ball, they could clearly see that items were paid with MOC and absolutely refused to entertain any refund other than a giftcard or cash. Both were aware that refunds to clubcard would provide advantage beyond value of coupon used. One lady claimed it is not even technically possible to refund these vouchers to clubcard via the till as far as she knew; she even tried to show me that it wouldn’t work in practice! @xcalx, how did you manage it? Which stores have you managed this in Genghis? On the receipt as ‘coupon’ and when I suggested it was a clubcard voucher one lady nicely explsined it wasn’t, that it was just a money off coupon. They were obviously clued-up so I pushed it just a little to give impression I wasn’t but I didn’t want overplay i tas that would have been disrepectful to two ladies who clearly knew their job well. We still have over £600 of vouchers left so will leave them until new year too but barring positive comment from xcalx I am no longer convinced it works. Genghis what’s that email address again? @Harry, since Genghis not around I can confirm that it can indeed work but is a lot of trouble and far from guranteed. Feels to me that agents are on the ball with this. I may just leave it to the New Yr, thankfully didn’t sink too much in this. Despite my +1 the other day, a bit premature, it seems I am still waiting for our vouchers. They said wait up until 10th Nov.
Just wanted to see what the new trick is. Essentially it is just what you always said but escalated! Have not decided for sure but my feeling at the moment is I’m out despite still having £600 of vouchers. Given the way it’s working, a single purchase close to £300 seems like best option to me. The doorway could also slam closed at any time but then that was always the case anyway. Any reason why you are not getting your vouchers online? I returned an item this morning and was refunded in cash. The helpful lady called cc customer services but they said could not be returned as vouchers. Then get the 8% bonus on a virtual Mastercard payout option for some extra free money, all very painless, requested 2 this morning and already received them a couple of hours later and paid towards my BT bill. OT British Airways are changing some of their Spain and Italy schedules starting with the summer 2019 timetable with changes between Gatwick and Heathrow departures. From 31st March 2019 British Airways will drop Gatwick to Barcelona. But Heathrow to Barcelona route will be up from 7 to 9 flights daily from the same date. Gatwick to Pisa will be dropped. With Heathrow to Pisa increasing by 3 to 17 weekly. Gatwick to Valencia will be dropped. With a new Heathrow to Valencia route starting 9 weekly. Heathrow to Almeria will be dropped. With Gatwick to Almeria operating 3 or 4 weekly depending on time of year. Heathrow to Bilbao will be dropped. With Gatwick to Bilbao operating 11 or 12 weekly depending on time of year. Heathrow to Mahon will be dropped. With Gatwick to Mahon increasing from 5 to 6 weekly. This is already in for tomorrow – it was meant to run today but I swapped it for Tallinn at the last minute. I look forward to the article tomorrow. Any intel as to whether any of the other IAG brands will increase their LGW to BCN frequency with BA code share would be interesting. Currently BA.com for LON to BCN end August 2019 is just showing BA metal flights. Last summer Vueling also operated LGW to BCN. Just kicked it into Sunday! Flights to BCN from Gatwick are always busy. That’s the end of RFS to Barcelona unless you want to jump through the hoops of Vueling redemptions through Iberia. EasyJet will get even busier. I priced up a summer return on Vueling and had to sit in a darkened room. Booking on Norwegian seems to have its own risk of a forced cancellation due circumstances and then we are swept into the mayhem of rebooking late on EZY at £££. I spend quite a bit of time in that darkened room! Would Park Hyatt Hadahaa in the Maldives work out as a sensibe redemption when buying points, it looks to be a category 6 hotel (25000pts) and I would imagine availability would be scarce? I’m not a member so can’t check this. Hyatt guarantees award availability as long as a ‘standard’ room is available for cash. The question is what counts as a ‘standard’ room as some hotels can play games here, such as only putting 2 rooms into their cheapest category and pricing all the rest $5 higher with a different name. These are not ‘standard’ and do not need to be open for rewards. O/t Lloyds upgrade voucher with avios redemption. Is it possible to book two one ways as an open jaw, with the return from HKG and take advantage of the lower taxes? (I know HKG taxes went up on 1st Nov) but would still like to know if possible to book two singles as Avios insisted it isn’t. I think you can only book 2 one-way flights or one return. But don’t they adjust the taxes anyway when they add the return leg? My taxes back from the US are always lower than the ones on the outbound leg from the UK. Sorry, wasn’t clear, if you book 2 x one way it has to be for 2 people doing the same journey. My taxes to the Caribbean next year for CW were nearly £650 each! ah ok. So there I was planning to come back via HKG to take advantage of lower taxes and needn’t have bothered! Per T&Cs IIRC it’s one person return or two people one way. But worth a few HUACAs to structure as one person x two one ways for the saving. If you’re that worried, bring your own minis and put them in your zip lock toiletry bags! Or buy a bottle of vodka in duty free then decant it into a water bottle. There are so many ways of getting round any restrictions if you intend to drink and not cause any trouble (only a complete fool would risk their precious holiday by kicking off in public). Though why would anyone need to drink in the toilet – it’s not like the cabin crew stand at the end of each row watching every passenger for the entire flight?! Thanks for your tips, Anna! It’ll be mouthwash at Boots next. Treating my girlfriend to a weekend away at the Park Hyatt Mallorca in December. Probably worth mentioning you can book through FHR and get all the extra perks – the booking was only £190 which I thought was good value. Weather will be a bit of a gamble, but we are there for the spa mainly! Emyr can do this as well via Hyatt’s luxury travel agent scheme and you’re guaranteed to pay Best Flex online price – FHR can be higher. Ah – oh well. I don’t suppose you might consider writing an article looking at the cheapest FHR bookings (on average?) It’s really difficult to search for cheap FHR bookings quickly, you have to search each location, so this might be valued by readers. Really OT and as no bits today, just a reminder that if you’re flying with Level you can’t pay for stuff on board with Amex.